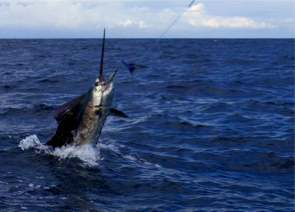 Costa Rica is known as one of the most active fishing grounds in the world. 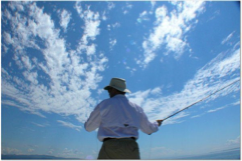 The Osa Peninsula and surrounding area has recently been discovered as an incredible destination for people who love to fish. Fishing here is world-class and several of the locally caught fish have broken world records. Bosque works with a select group of fishing lodges and private skippers with modern boats that are outfitted with state-of-the-art fishing and navigation equipment. Fishing is possible all year long, but the recommended best season is between November-May (of course this varies depending on what you want to fish for). The fish that are normally caught are marlin, sailfish, tuna, dorado (mahi mahi); and the normal in-shore catches are rooster fish, snapper, and jacks. You can go sport fishing or in-shore fishing, and some of the outfitters offer half day trips in addition to the more traditional full day fishing trips. If you get lucky and get the fish to us in time, we are happy to prepare your catch for dinner! 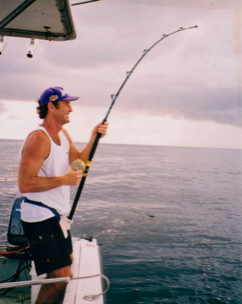 Fishing prices vary greatly depending on the boat and the captain, full day or half day, offshore or inshore. Please inquire by email or at the lodge for specific and current prices.